ABC is getting into the spirit with Charlie Brown, Snoopy and the Toy Story gang on Wednesday, October 19th! 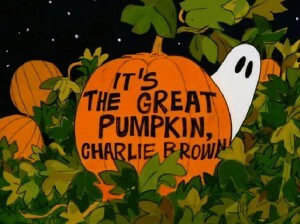 The classic animated Halloween-themed PEANUTS special, “It’s the Great Pumpkin, Charlie Brown,” created by late cartoonist Charles M. Schulz, will air WEDNESDAY, OCTOBER 19, 2016 at 8:00pm ET, on the ABC Television Network. The program will air with Spanish audio via SAP. Pixar’s first special for television, “Toy Story OF TERROR!,” a spooky tale featuring all of your favorite characters from the “Toy Story” films, airs WEDNESDAY, OCTOBER 19, 2016 at 8:30pm ET, on ABC.